If you love the Samsung Galaxy S3 but can’t get over the fact that it’s as big as a brick, then you’re in luck — the South Korean manufacturer has crafted a smaller 4-inch version of the device that’s appropriately called Samsung Galaxy S3 Mini. Samsung’s phones have constantly been increasing in size with each subsequent release. Heck, the already massive 5-inch Samsung Galaxy Note had a successor that added another half an inch to its display size. But for some reason, Samsung decided to buck the trend it started and released a miniaturized version of one of their flagship Android devices — the Samsung Galaxy S3 Mini. 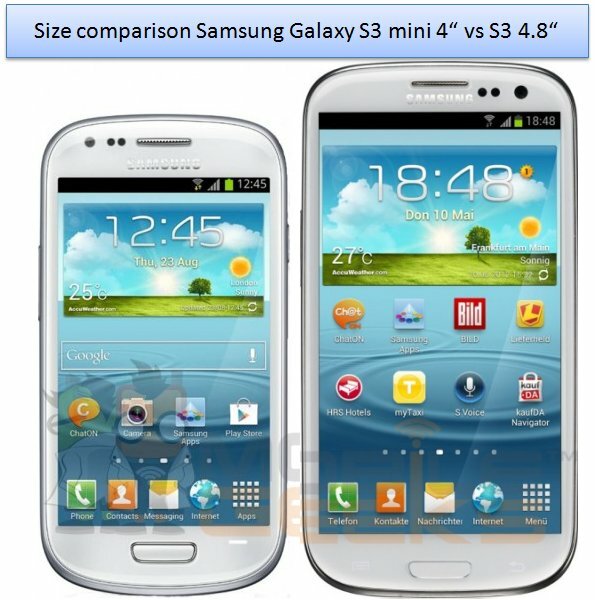 So what differences can you expect in the Samsung Galaxy S3 Mini? Mobile Geeksreports that it will have a 5 MP camera versus the 8 MP shooter that the Galaxy S3 has. What’s really disappointing though is that the Mini houses a less powerful dual-core 1.0 GHz processor, compared to the 1.4 GHz quad-core beast that’s powering its bigger counterpart. It will also just have a 1500 mAh battery, smaller than the Samsung Galaxy S3’s, but it may not be so bad since the Mini does come with a less demanding processor and screen. Interestingly,Pocket-Lint noticed that the specs for the Mini appear very similar to another Samsung device, the Samsung Galaxy S Advance. This has lead them to speculate that the Samsung Galaxy S Advanced was repackaged and slapped with a more recognizable name to sell more units. 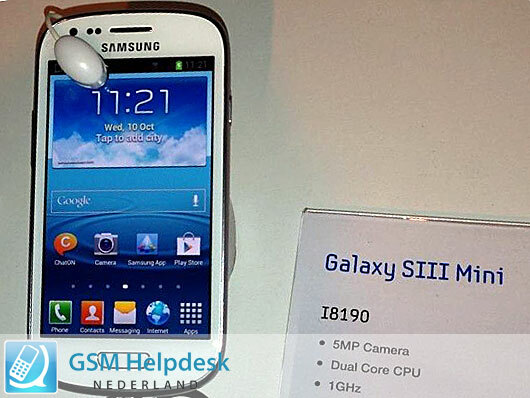 What do you think of the Samsung Galaxy S3 Mini? Would you choose this over other 4-inc devices like the iPhone 5? Sound off in the comments below!